With computing power ever on the increase, heat issues can affect laptop computers just as much as conventional desktop machines. 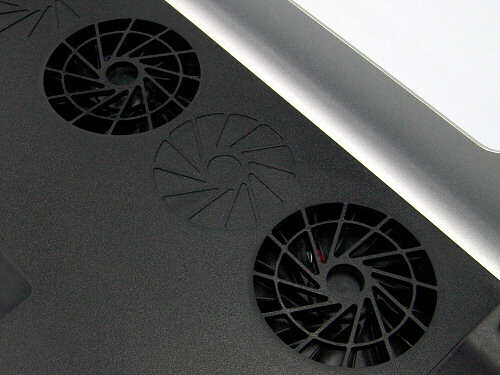 Because such high-power components are squeezed inside such a small case, it is inevitable that the heat has to escape somewhere, and invariably manufacturers resort to small, high speed fans to keep their components cool. Even then, safe cooling is not always assured - especially if the machine is used on soft surfaces such as carpets, duvets or trouser-legs! Anyone who has ever used a laptop literally “on their lap”, will know just how hot these computers can get. Even the big boys can get their designs wrong. In 2006, Apple and Dell recalled nearly six million laptop batteries because of potential overheating and fire risk, at an estimated cost of over £100 million! As the world-respected leaders in desktop cooling solutions, Zalman have now designed cooling products specifically for laptop users: the ZM-NC1000 and ZM-NC2000 ultra-quiet notebook coolers. 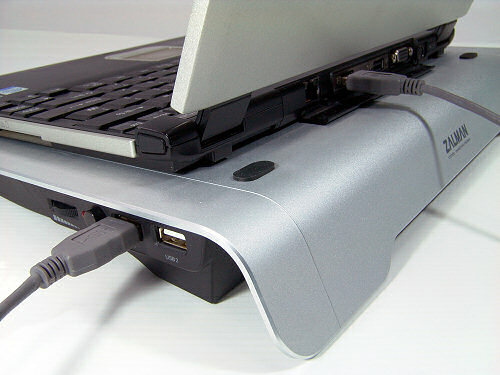 We think every laptop user should have one! 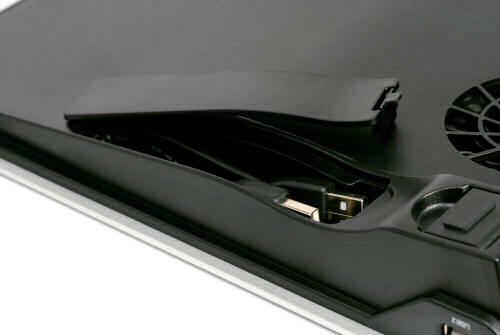 They give peace of mind that your laptop will not overheat and crash (or melt!). 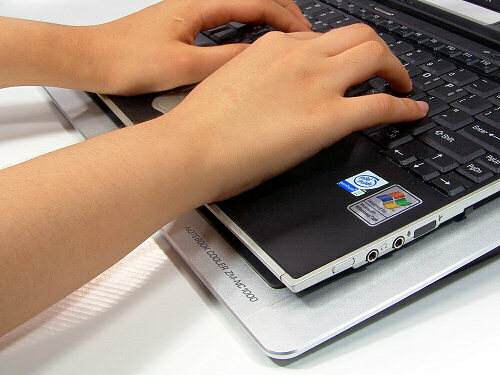 They improve long-term reliability because the laptop is running cooler. In most cases, they cut down on the noise from your laptop fans, because the fans don’t need to run as fast to maintain a safe temperature. Last but not least, they raise the rear of your laptop, making it much easier to type on its keyboard without worrying about wrist-strain. The ZM-NC1000 and ZM-NC2000 come with two centrifugal fans which give excellent airflow to the base of your laptop, with minimum noise. 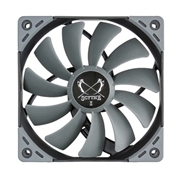 The speed of the fans can be adjusted according to how hot your machine is running and how quietly you would like the fans to run. 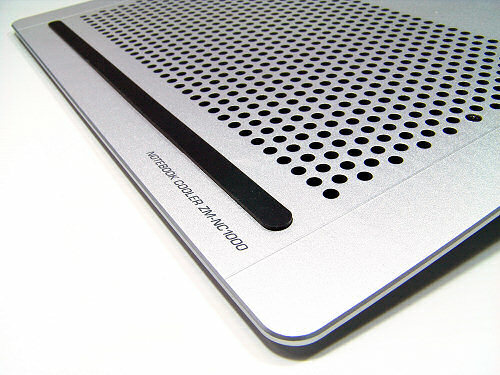 The products comes in stylish black or silver finishes, and will accommodate the vast majority of laptops on the market. 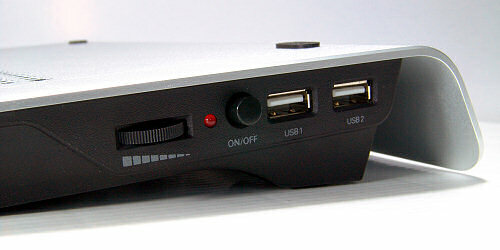 Because the fans are powered by USB, there are no extra power supplies or wires to worry about, other than one cable (included) which connects to a USB port on your PC or Macintosh. 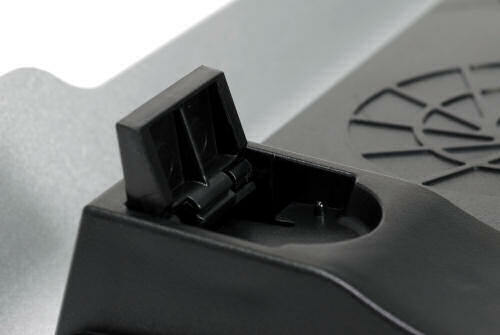 You don’t lose a USB port because the cooler has one to replace the one being used on the machine (see picture). And because they are lightweight, the Zalman notebook coolers can easily be transported with your notebook so you can use them anywhere - not just in your office!